The 28 year old patient came into our office complaining of tooth sensitivity. When doing the anamnesis, she denied any history of dental or facial trauma. But she declared that she has been eating lemons 2 times a day for the past 12 years. On examination, we found no TMJ, muscle or periodontal problems. As part of our protocol, we requested a panoramic x-ray and did facial and dental photos, on which we discussed the dental problems with the patient. Although her only chief complaint was tooth sensitivity, after seeing the facial photos she realized that her issues are also related to esthetics. 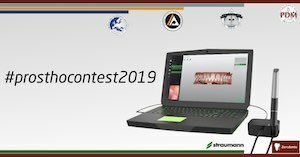 We performed the esthetic analysis described by Dr. Mauro Fradeani, and what draw out attention the most was the reversed smile line due to altered tooth proportions. Apart from various carious lesions, old composites and one failing endo treatment, what we discovered were wear facetes on the occlusal surface of all posterior teeth and incisal margins of incisors, and extensive loss of tooth structure on the buccal side of upper incisors. The occlusal exam revealed a class I canine and molar relationship in MIP. After 20 minutes of anterior deprogramming and bimanual manipulation in CR, the only tooth contacts the patient had were on the second right and left molars- with anterior shift to MIP. By correlating the anamnesis with the examination, we concluded that the upper buccal lesions were caused by acid erosion, and that the posterior wear facetes were due to combined effect of attrition and erosion. 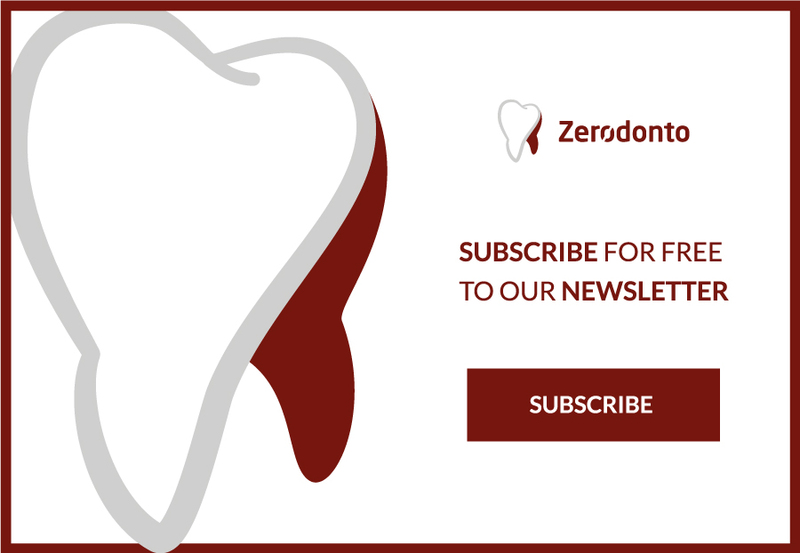 Our treatment plan objective was restoring the esthetic and function, while maintaining tooth vitality and preserving tooth structure as much as possible. In order to gain the patient’s trust, we decided to do a esthetic and functional wax-up and transfer it into a mock-up. 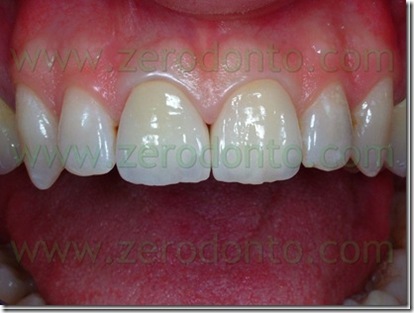 We started by 3-D positioning of upper incisal edge through the esthetic analysis. The space between the arches when seated in CR allowed us to design an esthetic and functional wax-up without increasing furthermore the VDO.Using a silicone key and the spot etch technique, the wax-up was transferd intraorally and tested for two months. 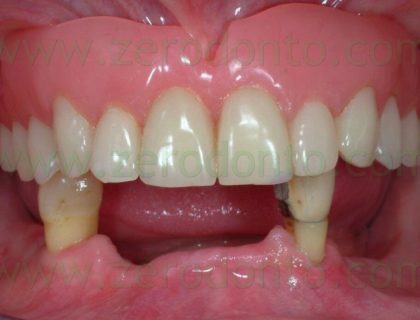 Afer two months the periodontium was healthy, the mock-up stil had stable contacts, was esthetically satisfactory and the patient had no TMJ or muscle problems. The most important thing at this point was to copy this project into the final work. We gave the technician all the information he needed for the cross mounting technique. Before the final impression, we did all the necessary dental and endo treatment. The master model was made using class IV type plaster and with removable segments. The surface of the teeth were sealed using a stone hardener and a die spacer to protect the dies and to create the cement space. We have used a special organic sculpturing wax to rebuild the teeth The finish line at the cervical area was checked and contour was made with special organic wax to improve the fitting. All the restaurations were build in full anatomical due to the fact that the thickness is around 0.3-0.6 mm and a monolithic restauration is stronger that a layered restauration. The sprued V shape crowns were set on the investment ring according with the hot-wax pressing technique. The sprue was attached along the direction of the ceramic flow and at the thickened part of the wax-up. The preheating and pressing procedures were used according to the material manufacturer indications. We have used monochromatic e.max ingots HT A1. Because the unprepared teeth colour is dentine shade, using a translucent ingot was a perfect solution. The pressing result is perfect as it can be seen on the fitted restaurations on the model. After this procedure and because all the restaurations are full anatomic a recheck of the occlusal relationships is carried out. Due to the fact that a layered restauration is more esthetic that a monolithic one, at the upper front teeth we have done a cut-back. The minimal cut-back requires an internal staining technique to enhance the in-depth chroma effects. The build-up ceramic was used only in the enamel area, and the ceramic masses were opalescent and enamels. 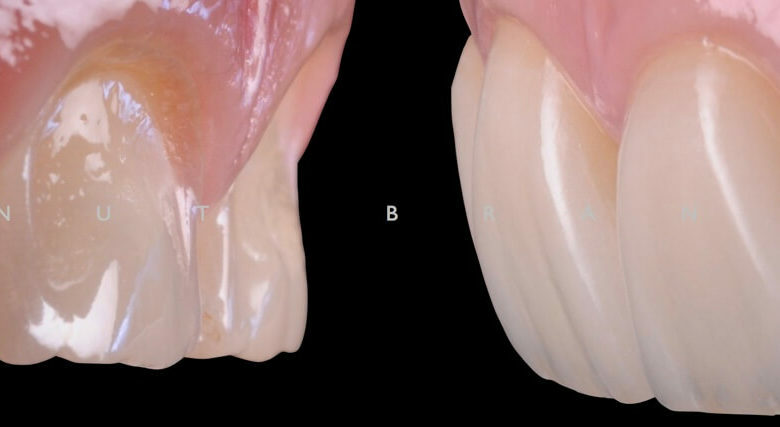 After the ceramic sinterisation, we have checked the shape and length of the upper teeth with the help of the study model and the silicone index. In order to be able to check the shape and surface texture, the use of a golden texture powder is a real help. After cleaning the restorations, a stain and characterization glaze was used. Areas which should exhibit a higher gloss can be smoothed out and prepolished using silicone polishing wheels. After all the procedures it is important to recheck the restorations on a control model before sending them to the dentist. Because we wanted to preserve as much tooth structure as possible and because the erosion and attrition changed tooth shape, we had a favorable insertion path for the final lithium disilicate restorations without prepping the teeth. 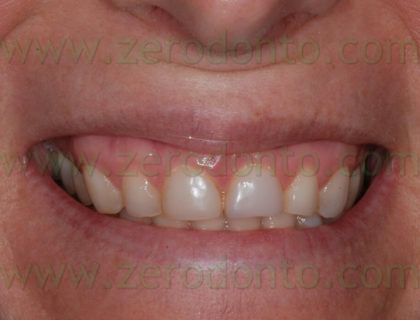 After trying in the restorations, we proceeded with the bonding protocol described by Dr. Pascal Magne. 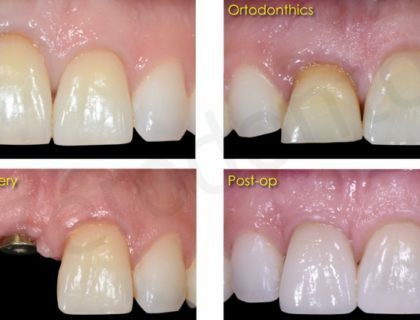 Two months and eighteen months after bonding, our restorations are esthetically, biologically and functionally integrated. When restoring function and esthetics in a young patient with extensive tooth structure loss, minimally invasiveness is always the first objective we set in treatment planning. 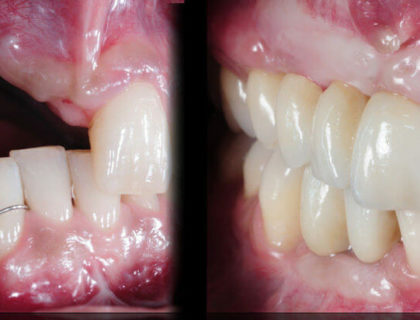 By taking advantage of the favorable elements in our particular case, we managed to use non prep restorations- and so maximizing the patient’s and our professional satisfaction. In 1999, Cristian Petri successfully completed his 2-year dental technician college in Cluj-Napoca, Romania. 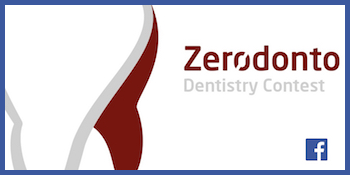 Subsequently, he worked as dental technician until 2001. He then changed to work in USA and Germany as dental technician for almost 2 years. ( Mai -Oct 2001: New Jersey and Dec 2001 -Nov 2002: Althausen-MDT Alexander Konig).In 2002, he opened his laboratory Artchrys in Cluj-Napoca.He further specializes as he partakes to the courses conducted by Prof. Rudolf Slavicek, MDT Masimiliano Trombin, MDT Achim Ludvig, MDT Jan Langner, MDT Haristos Girinis, MDT Nondas Vlachopoulos, MDT Uwe Gehringer, MDT Thomas Stefan Sing and Sensei Sigeo Kataoka . 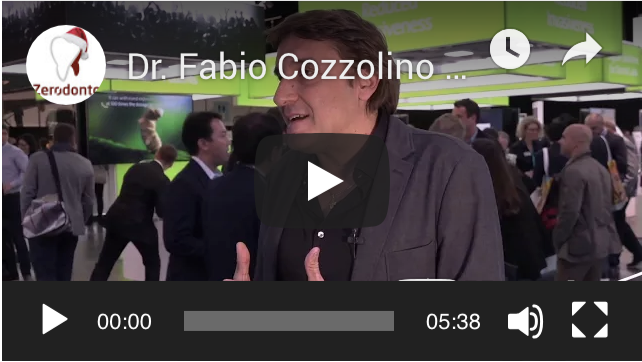 Since 2011, he has been holding lectures and publishing information regarding the fabrication of complex implant restorations with a focus on functional and aesthetics.Since 2013 he is pilot lab for Primogroup, opinion leader in Romania for imes-icore, Artiglio-Italy, Vertysystem, Imetric.He is co-founder and vicepresident of Dental Initiative Romania. Thanks for shearing, Its a clean and verry well explained case,beautiful achivement. Just one question,can you do monolitic restorations without a sholuder prep?,regards .Alan. Thank you for the comment. Yes you can do monolitic restauration withouth shoulder prep. Example is this case! How much will it cost to have it done like that and where is your office location? Wow! What a perfect case and perfect case presentation! This is an awesome perfect restoration. Did you need no minimal preparation of edges or undercuts? Thank you! Due to the fact that i had path for insertion there was no need to prep the teeth.